The Syrian rebel militant group hit by the first wave of Russian airstrikes Wednesday had been trained by the CIA, Republican U.S. Sen. John McCain of Arizona said Thursday. The Free Syrian Army, a group of mostly former Syrian military soldiers fighting against the authoritarian regime of Syrian President Bashar Assad, received the training from the U.S. foreign intelligence service to help it better combat government troops. “I can absolutely confirm to you that they were strikes against the Free Syrian Army or groups that have been armed and trained by the CIA because we have communication with people there…this is an Orwellian experience,” said McCain during a live TV broadcast on CNN. 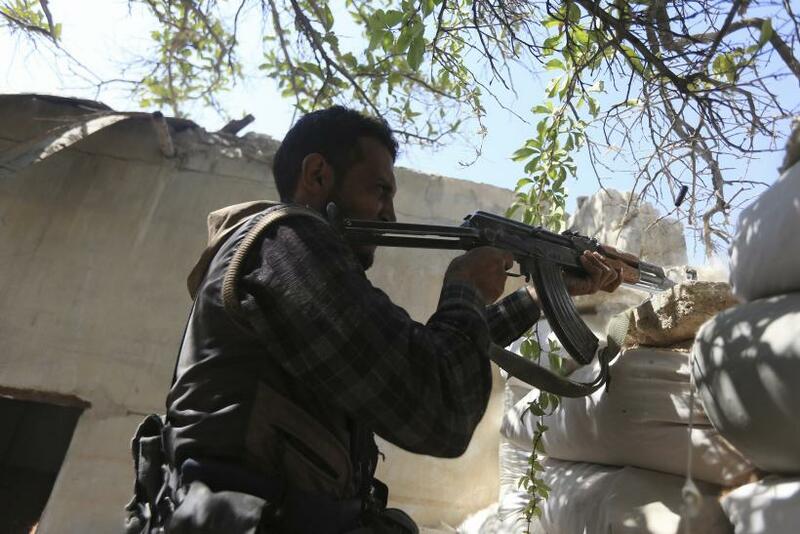 What Is The Free Syrian Army? The Free Syrian Army, which at one point was the main fighting force against Assad’s regime, is a collection of smaller government opposition groups which were brought together at the beginning of the Syrian civil war in July 2011. A majority of the soldiers are defectors from the Syrian military, while others are local and international volunteers. The Free Syrian Army originally started out with just a few hundred officers and soldiers who left Syria's army after being repeatedly ordered by Assad’s generals to fire on Syrian civilians. The group quickly grew in a few months to be a force of more than 10,000 men, according to a New York Times report from October 2011. At the time of its founding, Colonel Riad al-Asaad, a defector from the government army, told Syrian soldiers to "defect from the army, stop pointing their rifles at their people's chests, join the free army, and form a national army that can protect the revolution and all sections of the Syrian people with all their sects," according to a report from the National, an Abu Dhabi-based English-language newspaper. Recent reports have put the size of the Free Syrian Army at between 45,000 and 60,000, although the group is spread across the country and is largely thought to be badly equipped. Major victories over Assad’s troops during 2012 and 2013 suggested that the Free Syrian Army could eventually overthrow the government. However, lack of training, investment and weaponry saw the group retreat from the frontlines in early 2015. To help the Free Syrian Army regain its momentum, the CIA began training, arming and guiding the fighters throughout 2013, but the rise to prominence of the Islamic State Group in mid-2014 derailed the relationship. The equipment and money the Free Syria Army currently receives is not enough to fight ISIS, which is purportedly generating about $2 million in revenue a day, or Assad's government troops, leaders of the group have said. In recent months the army reportedly collapsed under the strain of fighting on two fronts, and U.S. government reports from inside Syria have claimed that the CIA-funded group had been handing over American-supplied weapons to a faction of al-Qaeda operating inside Syria. Compounding matters, Assad’s troops have been receiving military supplies from Russian forces over the last month, while Moscow’s forces were also conducting airstrikes on ISIS and Free Syrian Army targets in the Homs region of Syria.